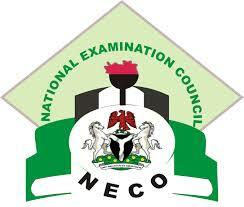 Recent results released in the past years shows that NECO students do fail miserably during the examination, but for the year 2017, the National Examinations Council (NECO) Nov/Dec 2017 SSCE results which was released on Wednesday, the 4th of February, 2017, however, shown that Nigerian students have done remarkably well during the 2017 Neco Examination. This is a remarkable and tremendous improvement from previous years. The registrar also announces that out of the 63,445 candidates who registered for the NECO examinations, only a total of 61,386 candidates eventually sat for the examinations, with 30.57% recording Credits and above. A breakdown of results also recorded in the core subjects shows that out of the 53, 848 candidates who sat for Biology 26,947 obtained a pass with Credit which represents 50.04%. Likewise, out of a total of 28,250 candidates who sat for Chemistry examination, 14,858 candidates passed with Credit representing 51.62%. While 28,222 candidates sat for Physics with 57 passing at Credit level which represents 0.20%. Similarly, 1,753 sat for Further Mathematics while 395 passed at Credit level representing 22.53% of the total candidates. Agricultural Science had 41,080 candidates and had 12,006 passes at Credit level representing 29,22% of the total candidates. Meanwhile, in spite of the improvement in performance of Nigerian students in the NECO exams, Professor Okpala revealed that some candidates were caught in examination malpractice, despite the stringent measures taken to prevent it, and these candidates have their results withheld by the NECO examination board. We were able to gather that a total of 620 cases of malpractice were recorded which is an increase from previous years. More details and guidelines on how to check NECO 2017 result will be released soon.